Home » ARSENAL CORNER » Arsenal Transfer Talks: Carlo Ancelotti to Replace Wenger, Coquelin on The verge of Valencia move plus Giroud and Walcott updates! 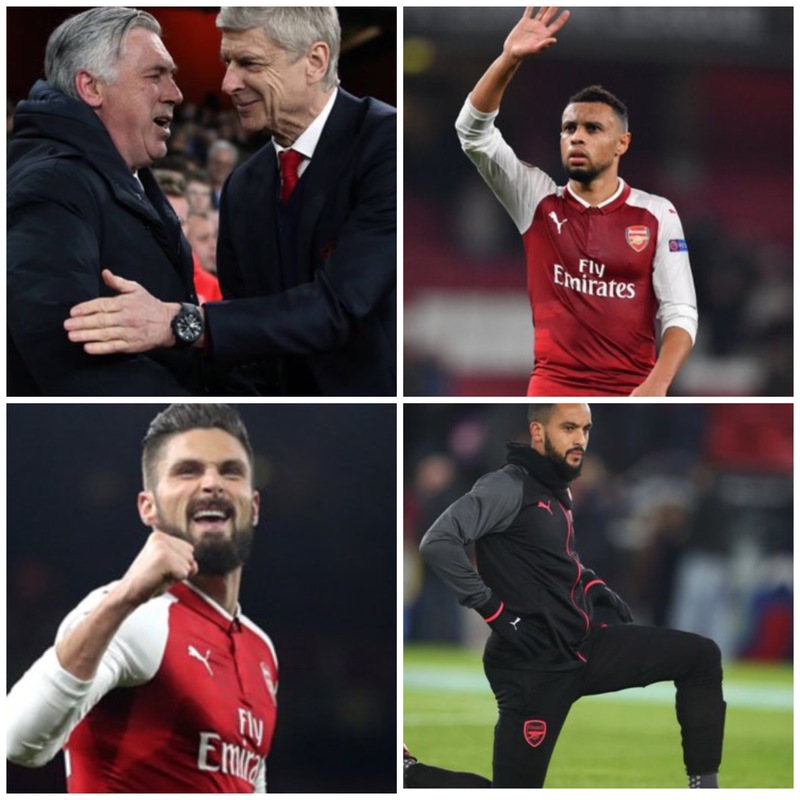 Arsenal Transfer Talks: Carlo Ancelotti to Replace Wenger, Coquelin on The verge of Valencia move plus Giroud and Walcott updates! Carlo Ancelotti to Replace Wenger, Coquelin on The verge of Valencia move plus Giroud and Walcott updates! Former Ac Milan, Chelsea and Real Madrid manager, the Italian Carlo Ancelotti is in line to Replace ArseneWenger If he steps down at the end of this season! Wenger signed two years extension at the beginning of the season, but has overseen a sharp declining performances, currently sitting in 6th position and dumped out of FA Cup by championship side Nottingham Forest. it is unclear if it is Wenger that hints at the possibilities of him quitting at the end of the season, but that idea is gathering pace, it was reported earlier this week that Man City’s Mikel arteta is preferred by Wenger if he is to quit and move up to the board. Arsenal Defensive midfielder French Man Francis Coquelin agrees term with La Liga’s Valencia and a move is almost certain. Francis Coquelin’s time at Arsenal seems to have come to an end. Arsenal and Valencia have agreed a deal reported to be £12m for the French Man. Coquelin rejected West Ham to move to Valencia, who also bought Gabriel Paulista from Arsenal in the summer. Olivier Giroud’s Agent insists the French Man will have enough playing time at Arsenal and there is no need for him to move this January. Olivier Giroud is keen on a first team football to secure his place in the national side for the World Cup in Russia, he has also made this known. his agent has been speaking, he said Giroud will only move for a regular football in a league he chooses, he won’t follow the money to China or Turkey. Everton and West Ham were interested in him in the summer but that has since cool down. Theo Walcott is another man likely heading out of Arsenal. Southampton his former club wants him but Arsenal’s £30m valuation may be a barrier, Everton has however joined the race for his signature and may now be the favourite to sign him.